Times goes so fast as an intern at Cohesity. Through this program I learned so much, not only digital marketing skills, but also valuable work experience my mentor has shared with me. August means the end of the summer internship program, but not the end of building connections with Cohesians. Last Thursday, Mohit Aron, the founder and CEO of Cohesity, shared his motivational entrepreneurial journey with all the interns, from which I benefited a lot. Every year, an increasing number of startup companies are booming in terms of the development of technology. However, not many people have a chance to think about this phenomenon from a founder’s perspective, nor do they get to know all the challenges startup companies are facing. During the meeting, Mohit shared the idea of establishing Cohesity from the very beginning. He pointed out the importance of raising money and setting up a feasible goal for a new business. The goal cannot be neither too big, nor too small – a small idea is easy to be duplicated by other companies, and a big idea will take too much time to achieve. It is also very important for a startup company to come up with some products in a short period. 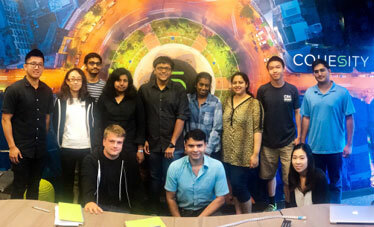 Mohit also explained some concepts of running a new business, and answered every question the interns had for him. Overall, it was a rare and valuable opportunity to learn about a startup company from a founder’s perspective. We officially ended our internship program with a team building event with our managers at the Savory Kitchen. Once we arrived, everyone was surprised with a secret gift waiting for us: A white chef hat with the Cohesity Thrive logo on it! Separated into three groups, we made our own lava cakes with different ingredients and tried to win a recipe contest. It was great fun to see each team choose their secret recipes, tease and taunt other teams, and then share the desserts together at the end. In addition to learning technical skills, another cool thing about this program is that we make friends with interns from other departments, and build connections with our mentors. Our mentors are willing to share knowledge and expertise, eager to provide constructive feedback, and always there to help. 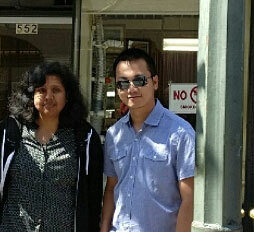 Erick Lin, a recent college grad in the Engineering department, shared his experience as an intern with me. 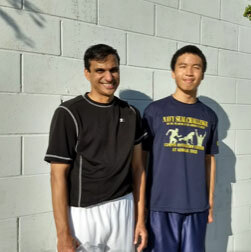 Guided by his mentor Abhijit, Erick learned more about secondary storage in one of his projects by creating a visualization of SQL database backups to make them easier for the internal engineering and QA teams to interpret. Malini Venkata is another intern I met this summer. 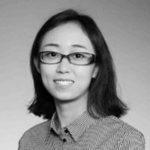 Guided by Ganesh and Zhihuan on the datapath team, she implemented multiple queue algorithms for caching and learned the ins and outs of the ticket service used in Cohesity’s file system. This summer means a lot to me. It is not about a job, an internship, or one more paragraph on my resume. I was able to test out many things in marketing from participating in the creation of the Cohesity Thrive program to creating social banners for new hires. These are things you will not learn in school. It’s the hands-on experience provided by my mentors who trust me to get the job done. I was also given the opportunity from my mentor to take an online course on customer advocacy. Beyond the course, she encouraged me to take the exam and now I have that certificate to take with me. More importantly, my manager and her team appreciate the work I do. I am thankful to have such a bright #marketing #intern @Cohesity ❤️ @VermouthMG you’re awesome! We’ll celebrate #NationalInternDay tomorrow! All the people I met here and all the experiences I had during this summer made me think about my career goal and what I am passionate about again. As an advertising major, I am happy to see that digital marketing is booming in the marketing world. Decision-making process is not simply dependant on multiple research methods anymore, but also based on big data from the digital platform. I will keep learning and put my effort into marketing. Just like a quote on the wall in our office: Be humble and keep learning!